How do you decide where to go on your adventures? This is a question we ask ourselves every time we say we want to go somewhere for the weekend. Where should we go? 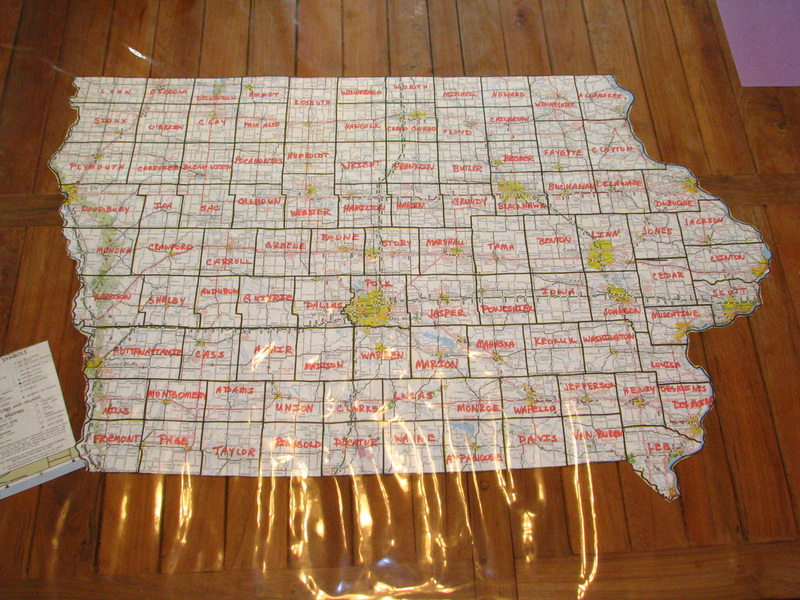 Recently, we have been using an Iowa state map and the Iowa's County Conservation System Guide to Outdoor Adventure to help us. 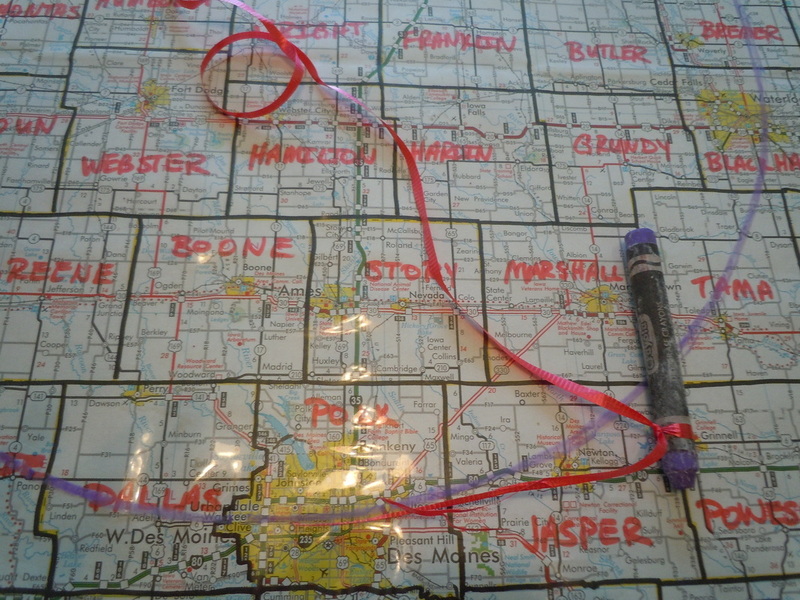 Can also be done with a map of the USA...even more fun! Wait...side-tracked...back to the topic at hand! 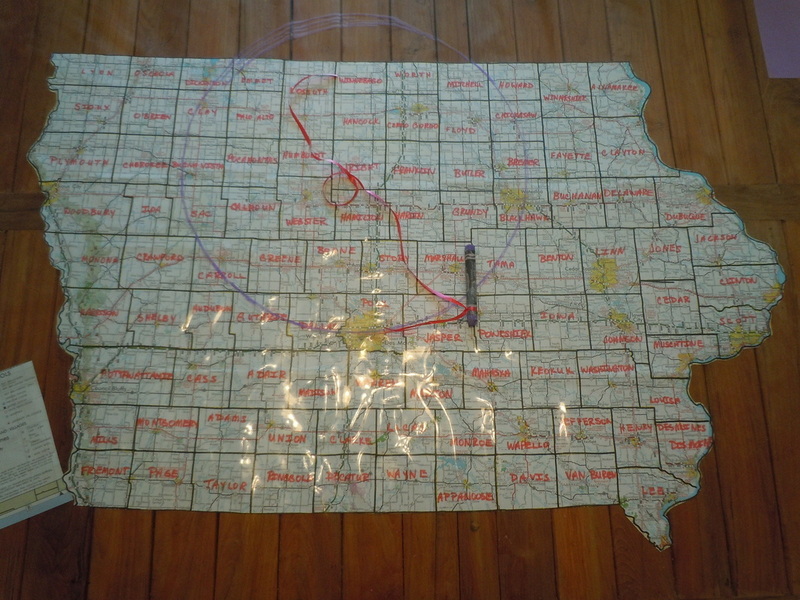 Draw a big circle with the string. This is the area you can go. Begin to research fun things to do and places to stay inside that circle. How does your family figure out where to go and what to do? Click to leave a comment on our blog.